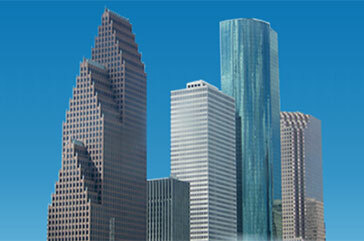 About Houston Benefit Services Inc.
Houston Benefit Services is located in Houston and was formed by a Brian Davidson. Mr. Davidson was licensed in the State of Texas to sell insurance in 2001. HBS was incorporated in 2011. Mr. Davidson is an independent thinker who recieved 7 years of on the job training in the healthcare business from one of the nations foremost benefit experts who was trained by a founding member of the Society of Profesional Benefit Administrators. Mr. Davidson is a consultant who has been cross trained through every department of a Healthcare company. 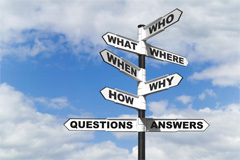 He understands all aspects of health plans and is therefore exceptionally equipped to investigate healthcare dollars. Mr. Davidson is also a Licensed Private Investigator in the State of Texas and is the owner of Panoramic Investigations. Mr. Davidson began to form that entity after the passage of Obamacare out of his deep concern for the state of employer based healthcare financing. Mr. Davidson, testified in front of the House of Representatives insurance committee as a supporter of HB2015 which was passed as a law in the State of Texas effective in 2007 and has been instrumental in directly reducing healthcare costs and improving transparency for employers. Mr. Davidson is NOT your average broker. He is a consumate professional who strongly believes that employers deserve to know where their healthcare dollars are being spent. He has been called a data junkie and always seeks to ask the tough questions of insurance companies, medical provider and drug companies. While Mr. Davidson works with insurance companies, he firmly believes in fee based consulting rather than agency because he believes that the agency model leaves the employers without true representation. While building Panoramic Investigations, Mr. Davidson acted as Executive Vice President of a Houston Based Professional Employment Organization named the Accent Companies. 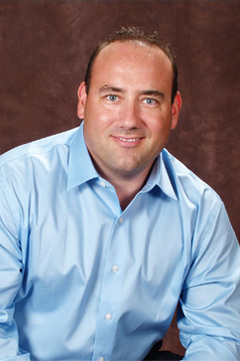 Mr. Davidson developed a CRM, Marketing Tools, and broker relationships to help build that company. Mr. Davidson is also, therefore well equipped to be a Professional Employer Organization consultant to employers who may be considering that model. Mr. Davidson lives in West Houston and runs most of his business from his home. He has three dogs, a daughter and a show quality, restored 1973 Ford Ranchero he personally restored. •Houston West Chamber of Commerce committee Volunteer of the Year for his work on the Health and Wellness Committee. •Appointed to the Texas Association of Business Board of Directors for a 3 year term. •Testified in front of the Texas House of Representatives Insurance Committee in Favor of HB2015. •2007 graduate of the West Houston Leadership Institute •Licensed as a Private Investigator in 2012 after graduating from the North Texas College Professional Development Institute •Founder of the original Benefitcom in 2001. An employee benefits communications, education and enrollment firm. For Samples of Mr. Davidson's past consulting work, click here. For Samples of Mr. Davidson's Consulting work, click here. HBS is committed to transparency. We believe that employers should consider a fee based model for healthcare plan management rather than the agency model where the agent is an agent of the carrier. Therefore we have a published price list for the services we provide to ERISA plans.